One day I decided I should get my ducks in a row. I thought that getting them in a row would be a drop in the bucket. But this particular morning my ducks had a chip on their shoulder. We were already starting the day off on the wrong foot. I was madder than a mad hatter and the blood in my veins was starting to boil! I was thrashing around like a chicken with its head cut off! It was not my finest moment and it only added fuel to the fire! In the heat of the moment I had a knee-jerk reaction! I was starting to think I had bitten off more than I could chew. My yelling and screaming just wasn’t going to cut the mustard. I was acting like a loose cannon. And my ducks just weren’t responding to being chewed out. I counted from 1 to ten to calm myself down. “Okay Ducks, let’s cut to the chase, why won’t you get in a row? But I’ll go out on a limb and admit I finally knew what they were saying. Now I don’t speak Duck.. But I think I had hit the nail on the head. Because in a New York minute my ducks lined up as straight as an arrow. 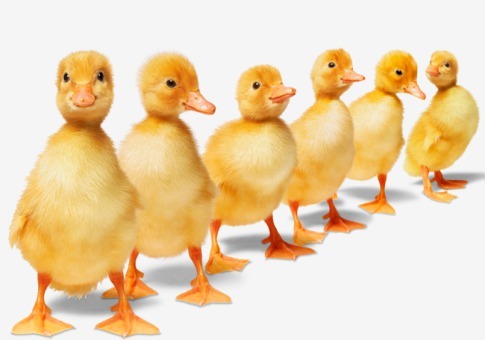 That is how I got my Ducks in a row.